About this Virtual Run: Join the Let Freedom Ring virtual 5k/10k/Half Marathon to support a charity that works to build beautiful, clean and sustainable local communities. Run or walk your chosen distance whenever and wherever you want to support the cause! All participants will receive this 4″ Statue of Liberty fireworks medal. 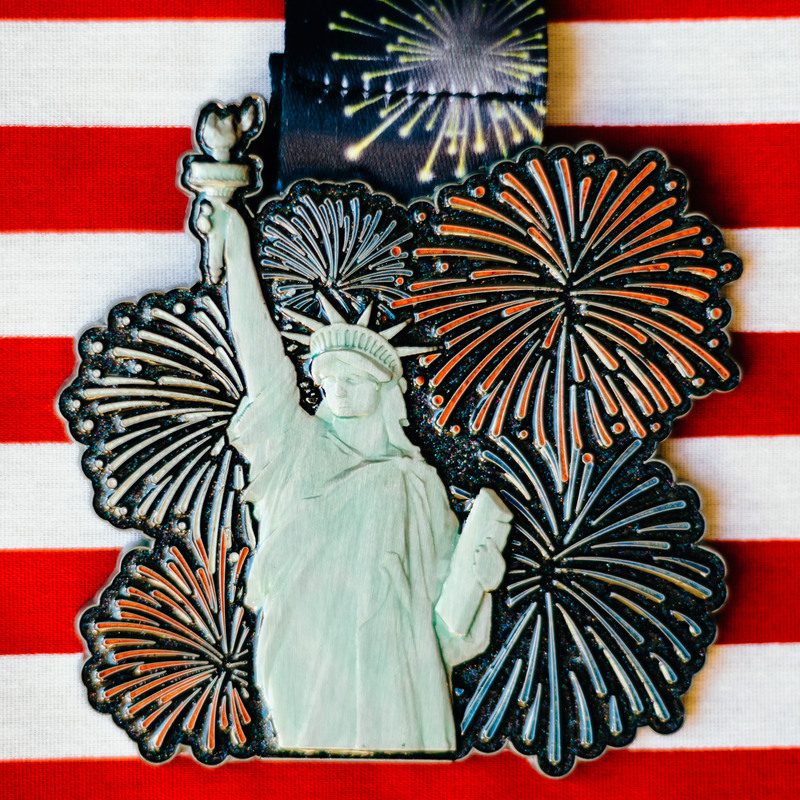 Lady Liberty is 3D and the fireworks sparkle with glitter! About the Charity: Keep America Beautiful (KAB) inspires and educates people to take action every day to improve and beautify their community environment. They’re working to end littering, increase recycling and to beautify America’s communities to fulfill a vision of a country in which every community is a clean, green and beautiful place to live. The organization is driven by the passion of more than 600 state and community-based Keep America Beautiful affiliates, millions of volunteers, and the support of corporate partners, social and civic service organizations, academia, municipalities, elected officials, and individuals. A portion of the proceeds from this virtual race (at least $5 from each registration) will be donated to Keep America Beautiful. For more information about this charity or to make a direct contribution, please visit kab.org.